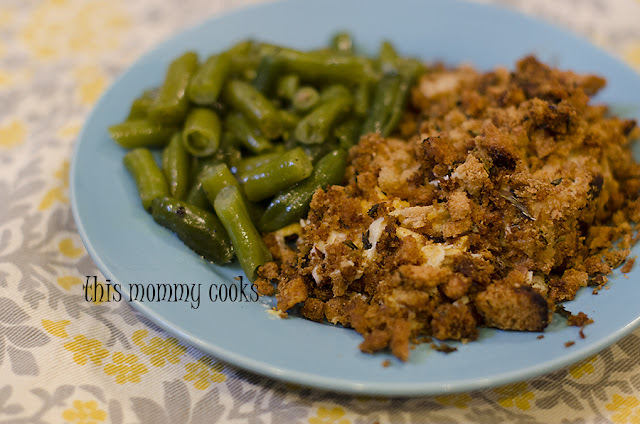 So this Stove Top chicken casserole recipe is the most popular post on my blog. I totally understand why. It is simple to make and it is pretty darn yummy. I have updated the recipe so that you can now make it int he slow cooker! Score! I was able to pop all of the ingredients in the slow cooker and head off to church and it was ready when we got home! I have the info for making it in the oven below too. If you haven't made this recipe you should, I'm sure your family will like it. I'm going to see if I can find another type of stuffing mix, maybe an organic option and see how it turns out. I'll let you know! Preheat oven to 400 degrees. Spray 9x13 baking dish with nonstick spray. Spread chicken on bottom of baking dish, season with salt and pepper. Sprinkle cheese on top of chicken. In separate bowl, mix sour cream and cream of chicken soup. Spread sour cream mixture on top of cheese. Sprinkle entire box of Stove Top on top of sour cream and soup mixture. Finally, drizzle melted butter on top of entire casserole. Cover with tin foil and bake in preheated oven for 30 minutes until bubbly. Spray inside of slow cooker with nonstick spray. Layer chicken in the bottom, spreading it out evenly. Season with salt and pepper. Top chicken with shredded cheese. In a small bowl, combine sour cream and cream of chicken soup. Spread the soup mixture over the cheese evenly. Top with entire box of Stove Top Stuffing. Drizzle melted butter on top and cover. Cook on high for 2-3 hours until bubbly or low for 4-5 hours.